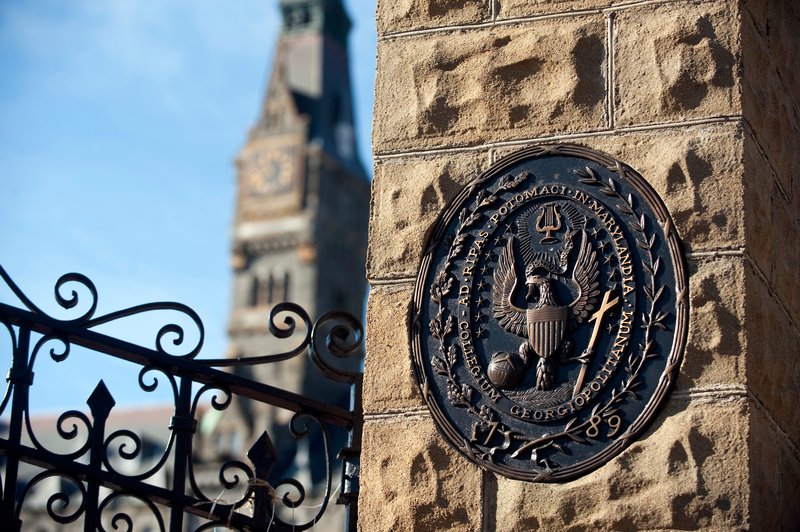 As we have settled into the new school year, the chaplains and staff of Mission and Ministry acknowledge the heaviness of heart that so many members of the Georgetown Community are feeling due to the ongoing crises surrounding sexual abuse, abuses of power, and failure of those in authority to protect the vulnerable. Members of the Catholic Community are particularly wounded by this betrayal of trust, and many are sorting through this spiritual challenge and emotional trauma. The Pennsylvania Report on the sexual abuse of minors, the announcements of investigations by Attorneys General in additional states around the country, and other recent revelations have shown just how systemic the abuse and cover-up in the Catholic Church has been. We are now in a time of deep reflection on how best to ensure these abuses never happen again, and how to address any abuses going forward. The horrific details of what was covered up once again reminds us of the many survivors of abuse, the ways many bishops failed them, and the ways many bishops have failed the Catholic Church. It is all the more appalling because Catholic parishes, schools, and universities have rightly earned a reputation as places that care for the vulnerable and nurture students in the values of the Catholic faith. Therefore, we ask: What might Georgetown’s Office of Mission and Ministry do in the midst of this tragic moment? We categorically stand with survivors of sexual abuse and call our Church to task for its corporate sinfulness. We use our intellectual, spiritual, and communal life together as a university to interrogate this tragedy and assist the Church so that these abuses and cover-ups never happen again. We accompany each other in our diverse faith traditions, especially reaching out to the Catholic Community. We take the time to listen to each other, express our anguish, and walk with each other on the path of justice. We review our policies and procedures for the prevention of sexual abuse in any of its forms. Crisis of Faith? A Gathering for Young Catholic Professionals at the School of Continuing Studies on September 17, 2018. Confronting a Moral Catastrophe: Lay Leadership, Catholic Social Teaching, and the Sexual Abuse Crisis, in Gaston Hall on September 25, 2018. A Response to the Catholic Sexual Abuse Crisis with Patricia McGuire, J.D. (L’77), President of Trinity Washington University: Wednesday, October 10, 6:30 PM, Dahlgren Chapel. Dahlgren Dialogue: A Path Forward in the Sexual Abuse Crisis: October 24, 7:00 PM, Dahlgren Chapel. A Liturgy of Music and Prayer for Repentance: November 19, 5:00 PM, Dahlgren Chapel. Finally, as many of us are feeling both sorrow and anger at this time, we must—each of us—feel free to share from our own perspective, our sense of betrayal. We can acknowledge that the Church has work to do in addressing these failures, while keeping our focus on the needs of those who have been the victims of these failures. Georgetown University and its Office of Mission and Ministry lend themselves to being part of the transformation that is needed in the Church and in the world. Through our Ignatian and Catholic heritage and our interreligious partnerships, let us continue this academic year with hope, sorrow, tears, and a renewed commitment to a faith that does justice.